In a European survey by the “Reader’s Digest” magazine, AIDA Cruises has been voted the “Most Trusted Brand” in the “Cruises” category by German consumers for the second time in a row and by consumers in Austria for the first time. The company accepted the prestigious Pegasus Award in Dusseldorf last Friday, September 7, 2012. “Trust is the basis of successful and, in particular, long-lasting customer relations. I would like to thank all our guests and marketing partners for their loyalty”, said Michael Ungerer, President of AIDA Cruises. The most widely read magazine in the world, “Reader’s Digest”, asked in a pan-European study entitled “European Trusted Brands” what brands its readers think of if they were to decide on the most trustworthy brand in 33 different categories. The winner in the “Cruises” category was AIDA Cruises. Some 7,474 interviewees took part in the survey in Germany alone, with a total of 27,467 participants in Europe as a whole. 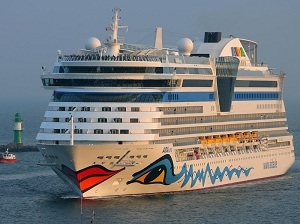 AIDA combines a holiday at sea with a variety of experiences and adventure, as well as relaxation and enjoyment. With 9 ships at present, the cruise operator offers its guests quality, comfort and individuality in an informal atmosphere. The vessels are operated in accordance with the highest international standards in terms of quality, the environment and safety.